The US is ready for an open dialogue with Moscow in order to make progress on the Iranian nuclear problem, according to US Secretary of State Hillary Clinton. The comments followed her meeting with Russian Foreign Minister Sergey Lavrov in Switzerland. Both sides hailed the talks as productive in resetting relations between the two countries. Lavrov said Russia values the interest of the Obama administration in listening to the opinions of other countries in its revision of its policy on Iran. The discussions focused on issues of mutual interest including tackling terrorism and nuclear disarmament. He added: “We spelled out the Euro-Atlantic security initiative of Russian President Dmitry Medvedev. Our partners heard us. We count on consultations with experts from all countries on the Euro-Atlantic space”. The talks in Geneva kicked off with a symbolic gesture as Clinton gave her counterpart a present – a button with an inscription in Russian. But instead of saying “reset” – «ÃƒÂÃ‚Â¿ÃƒÂÃ‚ÂµÃƒâ€˜Ã¢â€šÂ¬ÃƒÂÃ‚ÂµÃƒÂÃ‚Â·ÃƒÂÃ‚Â°ÃƒÂÃ‚Â³Ãƒâ€˜Ã¢â€šÂ¬Ãƒâ€˜Ã†â€™ÃƒÂÃ‚Â·ÃƒÂÃ‚ÂºÃƒÂÃ‚Â°» – as intended, the inscription in Russian said “overload” – «ÃƒÂÃ‚Â¿ÃƒÂÃ‚ÂµÃƒâ€˜Ã¢â€šÂ¬ÃƒÂÃ‚ÂµÃƒÂÃ‚Â³Ãƒâ€˜Ã¢â€šÂ¬Ãƒâ€˜Ã†â€™ÃƒÂÃ‚Â·ÃƒÂÃ‚ÂºÃƒÂÃ‚Â°». Despite that little mistake both officials went ahead and pressed the button. The heads of the foreign offices of the two countries also confirmed they will make every effort to reach a new agreement on strategic offensive armaments before the end of this year. “We will do everything to sign a new agreement, because the existent treaty has grown obsolete,” Lavrov said. And Hillary Clinton expressed hope that “this first meeting will lead to others and improve our ability to work together in a range of matters that are significant not only to us, but the world”. Policy on Kosovo is one of the main differences between Moscow and Washington, according to Lavrov. 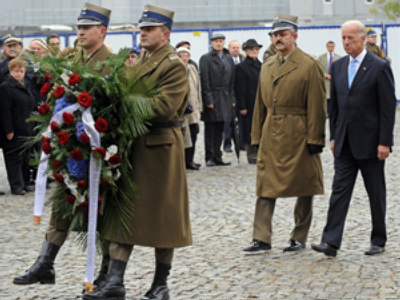 “We think that the declared independence of Kosovo is unlawful,” he said. 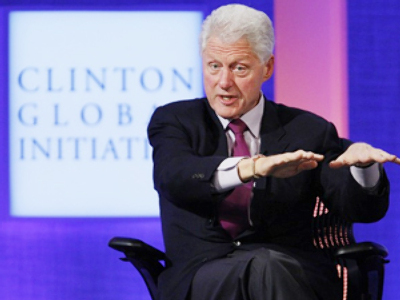 Clinton said that Georgia was one of major points of disagreement. 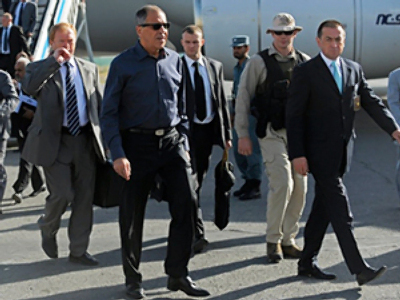 Stabilisation in Afghanistan is a common cause of Russia and the United States, the Russian foreign minister noted. “We have agreed to promote the success of the Afghanistan conference chaired by the Shanghai Cooperation Organization (SCO), which is due in Moscow on March 27, as well as a similar conference sponsored by the United States, which will be held in Europe in late March,” he said.